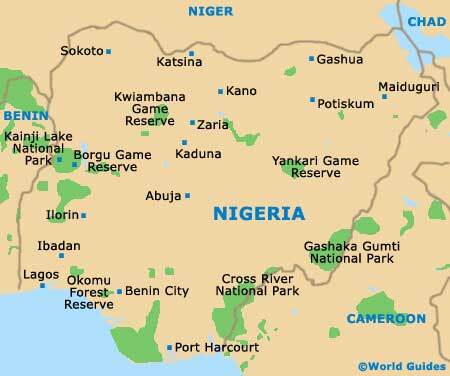 Nigeria has a total of more than 30 museums and galleries, which are spread throughout the country and in particularly good supply in Benin City, Calabar, Kaduna, Kano and around Lagos Island (connected to the mainland by a series of bridges). Together, they help to preserve the culture and history of Nigeria. Several of these museums focus on specialist subjects, such as archaeology, history, art and transport. Visiting one of Nigeria's many museums is the best way to really understand the country's rich heritage and cultural traditions. Located in Oshogbo, both Jimoh Buraimoh's African Heritage Centre on Buraimoh Street and the Nike Centre for Arts and Culture on the Old Ede Road are worthy of some attention, along with the following selection. 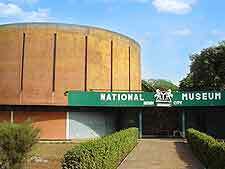 The National Museum at Lagos has long been seen as Nigeria's finest heritage repository. This leading West African cultural attraction was originally set up in the 1950s by Kenneth C. Murray and is home to numerous examples of rare Nigerian art work and ancient sculptures, including statues and carvings. Some exhibits date back to the prehistoric era, whilst many originate from the time when the Benin kings ruled over the country. Of particular note are the Nok Terracottas and carved ivory gallery. Centrally located at Lagos, the museum is the perfect place to head upon your arrival in the city. Craftwork demonstrations and a small craft village also form part of the overall attractions. When the Oron Museum was first set up in the late 1950s, it was home to an impressive and sizeable collection of ancestral figures belonging to the people of Oron. Sadly, many of these were destroyed during the civil war. In 1975, however, the museum was renovated and restocked with the surviving figures, as well as other artefacts found elsewhere in Nigeria. Of note, this attraction also boasts a small craft village where you will find a choice of quality souvenirs. Benin City's museum is a great starting point for getting to know this ancient city and the empire that once surrounded it. Bronze statues and ornaments, terracotta figurines and cast iron pieces are just a few of the artefacts on display in the museum's three galleries. A British expedition into the Oba's Palace in Benin City in 1897 meant that many of the city's historic objects have disappeared into Western museums. Where possible, reproductions have been specially made. Established in the mid-1970s, Kaduna's National Museum has on display lots of archaeological and ethnographic artefacts that include terracotta figurines dating back some 2,500 years, as well as masks and Benin bronzes. A traditional Hausa village within the complex also provides visitors with an opportunity to watch local craftsmen and women at work, being creative. The Gidan Makama Museum is housed in the Emir's former home in Kano, which was built in the 15th century for Rumfa, his grandson. The building itself is of great architectural and historic interest in its own right. Located next to the Emir's Palace and close to the Central Mosque on the Kofar Mata Road, this attraction comprises local art exhibits, displays about old Kano and a collection of Hausa costumes, weapons and tools, as well as many historic photographs documenting the endless history of this city, West Africa's oldest. The Calabar Museum enjoys an especially grand setting, being sited within the former British governor's building, where it enjoys pleasant views of the river and is easy to find. Visitors can see a vast assortment of regional artefacts and paraphernalia relating to the slave era, the colonial days and the wealth accumulated from palm oil. There is also much information about the city's ancient origins, when it went by the name of the Efik Kingdom. The Esie Museum was set up in Ilorin to house tombstone figures, of which over a thousand were discovered. Founded as far back as 1945, making it the country's oldest, today, it is perhaps best known for its vast collection of soapstone images. This popular cultural attraction has also become something of a religious centre and plays host to a prominent annual festival each April. The Owo Museum, in Ondo State, was established in the late 1960s to house artefacts taken from Olowo Palace. Items excavated nearby by Dr. Ekpo Eye were added a few years later. Currently there are displays of significant examples of local arts, crafts and ethnography. As is the case for so many Nigerian museums, a craft village is also situated within the grounds, providing further interest for visitors. The Centre for Black and African Art and Civilization came into being after the success of the Second World Black and African Festival of Arts and Culture held in 1977 and continues to play an important role in the preservation of African culture. Today, the CBAAC houses a selection of artefacts and rare items that were used at the 1977 Festival. 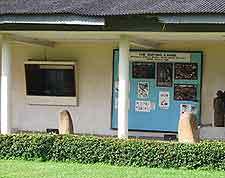 The museum at Jos was set up in 1952 by Bernard Fagg, a British archaeologist. The museum, which is actually a complex of different exhibition areas, is situated within the beautiful hill resort of Jos. Visitors can admire examples of terracotta figurines that can be attributed to the Nok people of Nigeria, dating back around 25 centuries. The complex also has areas dedicated to the history of architecture, tin mining and railways. Sadly, time has taken its toll on what was once the flagship of Nigeria's cultural offerings.